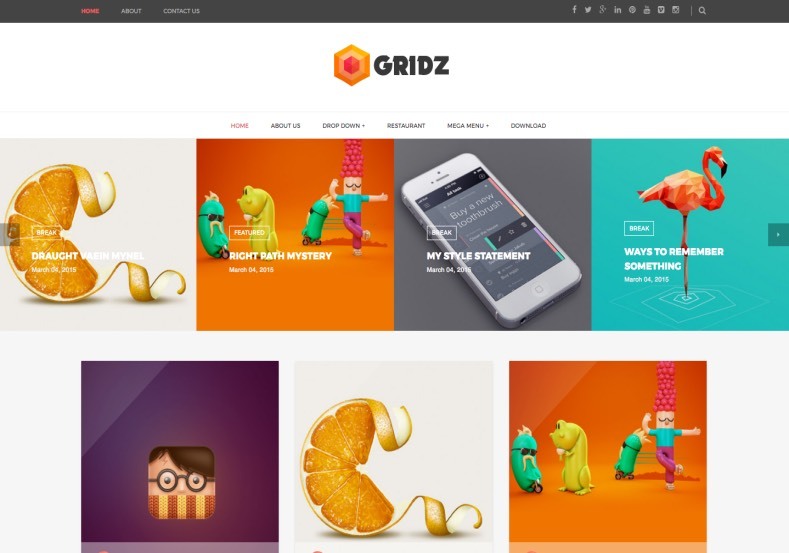 Grids has Mega menu features so its help to attract your audience with the thumbnail. The mouse hover design is also attractive in “Read more” button and post thumbnails. Elegant, Personal Pages, Seo Ready, Girly, Fashion, Photography, Gallery, Masonry, 3 Columns Footer, Mega Menu, Page Navigation Menu, White, 1 Sidebar, 1 Right Sidebar, Clean, Minimalist, Ads Ready, Magazine, Free Premium, Post Thumbnails, Responsive, Social Bookmark Ready, Drop Down Menu, 2 Columns.